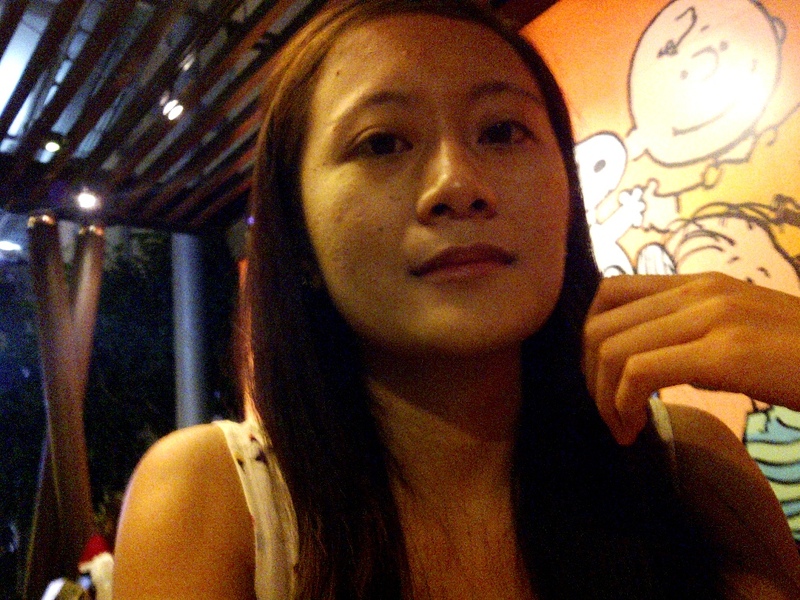 it wasn't my intention to go to a snoopy fair but nonetheless, the child in me was elated! i didn't take away as much loot as that of a real fan but i just bought postcards which i sent to my dear ones and to myself to the philippines. i got the postcard idea from my new found friend in japan who was a co-trainee. 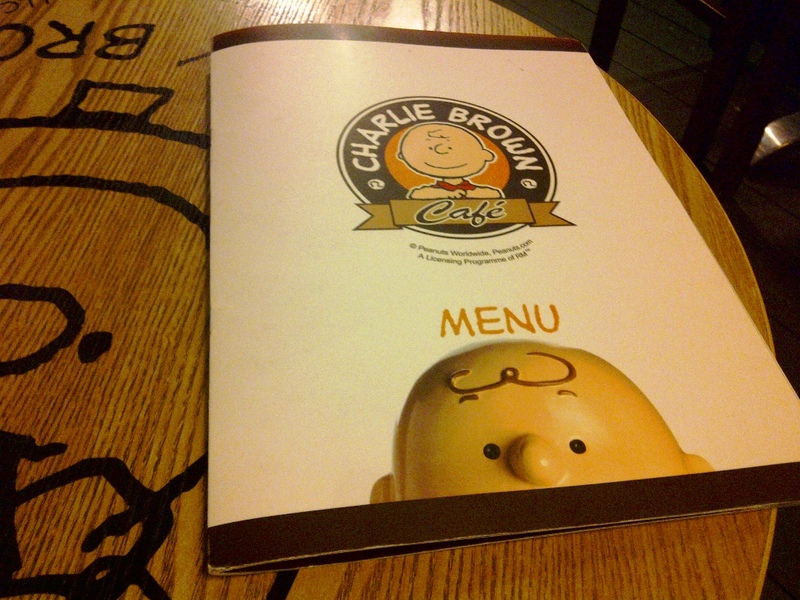 so there, the bald charlie brown was in all those postcards. 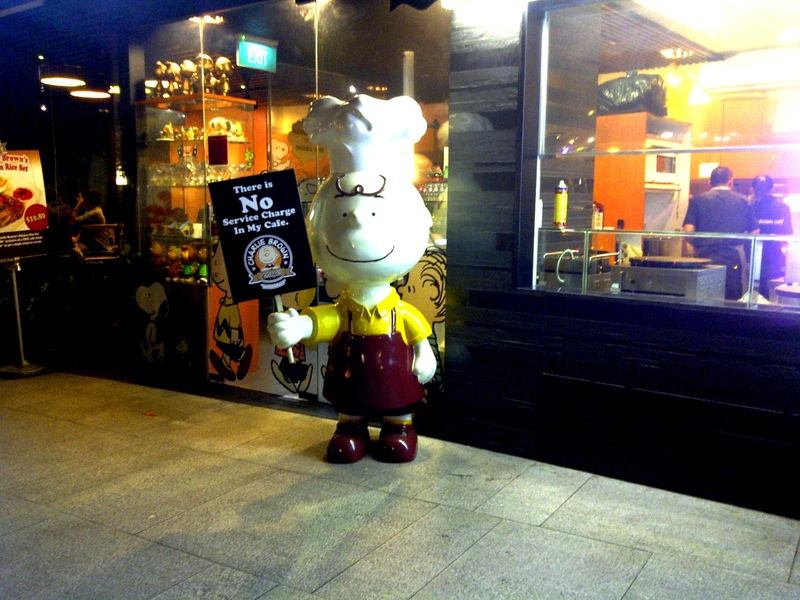 then, my second encounter with charlie was 2 years after which was last year when i went to hong kong. 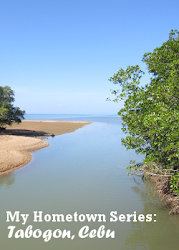 surprisingly, going to his café had made it to the itinerary. however, i didn't dine and i only took pictures from its first floor and all the way to its second floor. by this time, charlie has somehow tugged my heartstrings that i made a dedicated post about him here. i seemed to walk on a peanuts comic strip saga in hong kong since i also went to its snoopy world. but those 2 encounters didn't really make me a die hard fan even if i have to consider those few times when i inadvertently read its comic strip several years ago in newspapers. 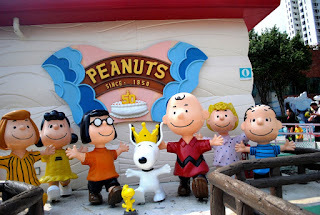 however, i can't deny the sense of positivity when i see the peanuts gang, carefree and happy! The Peanuts gang in Hong Kong. fast forward today, i never thought i would have this sort of continuing acquaintance with charlie now that i'm in singapore. i just even explained our budding friendship in several long-winded paragraphs above. anyway, with how small singapore is, i tend to end up at the same place a number of times or i haven't looked hard enough, whichever is the case. but the orchard road is a very famous stretch in singapore especially that occasional retail therapy can be much done here. so, i walk along its heels-friendly pavements every now and then. one time around orchard, i delightfully found singapore's sole charlie brown café which is not alongside the main street but seemingly hidden from the crowd which i very much prefer! then came a saturday night when i finally paid charlie a visit thinking he still had a seat for me since most likely, people would be somewhere in a more adult setting on a weekend night. true enough, he had an empty small table left for me! 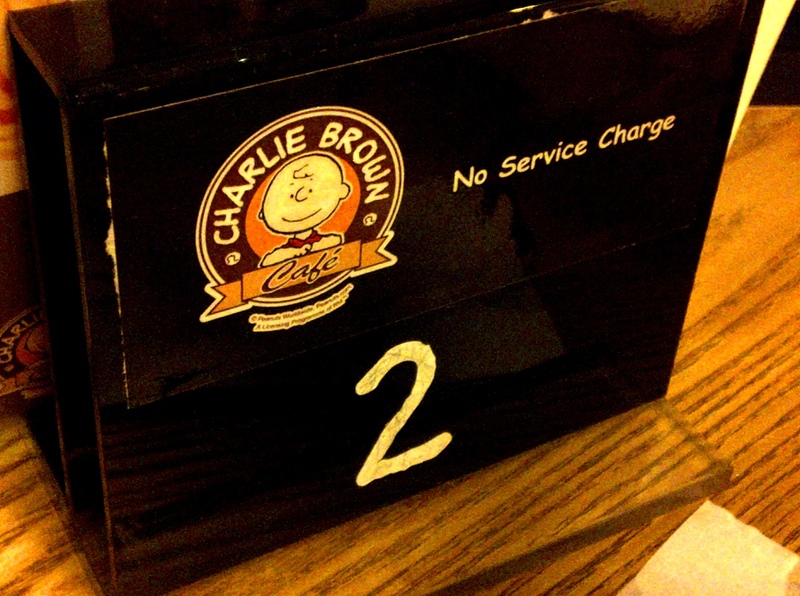 the good ole charlie beckoned me with a no service charge. 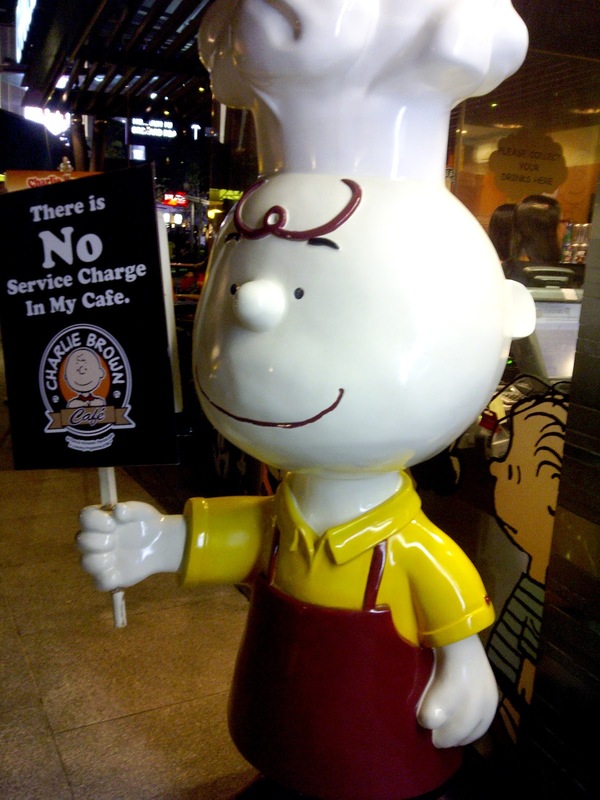 yes, it's very rare here in singapore, the dining places that don't have a service charge. i just even know one, and it's charlie's café! on the brighter side, you don't somewhat feel obliged to make a tip. 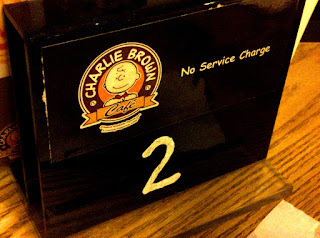 after crossing my fingers in my mind while passing by cramped restaurants in the area, i arrived at charlie's café with a lesser crowd and i even had a small table all by myself. it took me a long time to decide on what to eat. 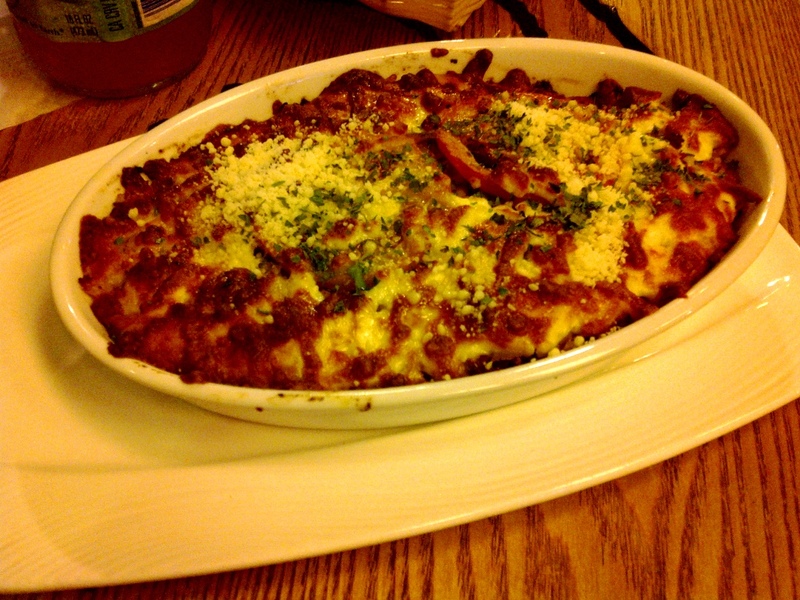 i was choosing between the healthier salad and this italian baked rice. well, i ended up with this because the greens might not last me till morning. 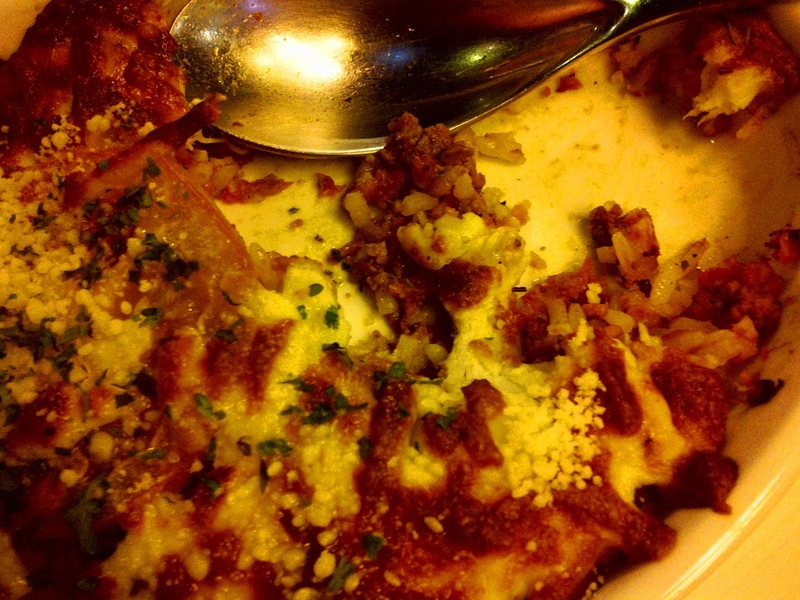 i just had to take a snap of my italian baked rice up close for when it was served, it looked like the normal baked pasta. i then felt guilty afterwards because the meal proved to be uncomfortably heavy for me. before i know it, i could be stocking up another extra load around my waist. but the taste was sufficiently scrumptious and it's surely a different italian twist from the conventional baked pasta! 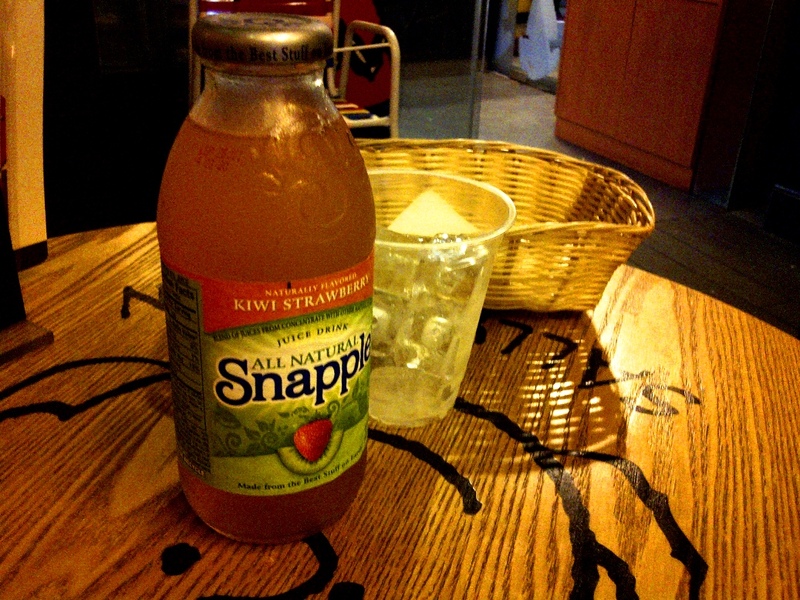 because i wanted something other than my fail-safe iced lemon tea, i opted for this kiwi strawberry. it's a little bit sour. there's probably more kiwi than strawberry in it. frankly, i was a bit mushy that night for it was supposedly a cheesy day for breinn and me, that extraordinary day of the month which i sometimes forgot. thanks for the night charlie and thanks for being a proxy. :D till then! i will surely be back since you have a crêpe in your menu. because one fine day, i craved for crêpe and i didn't know where to go but now i found you! The total price was 7% GST inclusive so I just paid SGD15.70.